You may ask, what is the average height of a man in the Philippines? Is this 5 and something is the normal height of men here in our country? If I ask you, can you give an idea on what would be the average height of a person here in our country? Guess what? This is difficult to answer the exact height if we have no data to prove. So, here are the data that may prove or close to reality in identifying what would be the normal height of Pinoy in Philippines 2013. 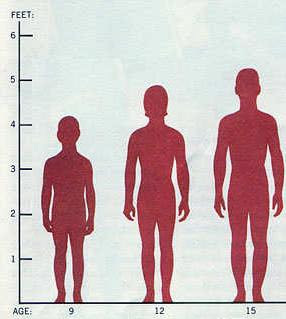 Based on study and statistics, the normal height of men of a Filipino is somewhat in 5'4" to 5'5". That would be 64 to 65 inches tall or 162 to 165 in centimeters tall. Are you fit in? Or on below average? Maybe, you are above average according to normal height. Who's man that we can say has an abnormal height? You may think most Filipino basketball players have abnormal heights who are reaching to 6 feet plus tallness. But they have normal heights also which their average height as a Filipino basketball player will be 5'9" to 5'11". You may see the below statistics and differences of average normal height of men from different countries. AS you will see in the chart, the tallest guys are in Netherlands. A trivia here is that, tallest people can be found somewhere in the continent of Europe and nothing more. While you can find the shortest people in the world somewhere in the continent of Asia. So, what are your assessment after knowing the normal and average height of men in different parts of the world for this 2013?